AGCO Co. (AGCO) Shares Sold by Suntrust Banks Inc. The Federal Aviation Administration has given Amazon approval to begin testing its plan for its Prime Air service, which will use drones to deliver products sold by the company to homes and businesses. The FAA told the company in a letter this week that Amazon can now test its current drone designs in the U.S. The move has also created a regulatory framework for other businesses interested in launching similar services. 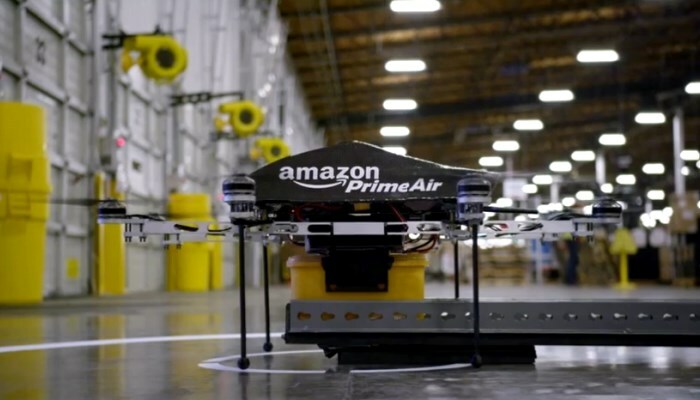 The FAA’s recently proposed rules for commercial drone operations do not go far enough to bring Amazon ultimate vision of Prime Air drones flying autonomously for miles to reach customers to fruition. As a result, Amazon’s tests will be a limited version of what Amazon ultimately intends to accomplish with its drones. To stay within the FAA’s rules, the drone and its payload can only weigh up to 55 pounds. The proposed rules also prohibit Amazon from flying its drones over “densely populated areas.” Amazon must keep the drones under an altitude of 400 feet and restrict them to a maximum speed of 100 miles per hour when flying. The FAA has also issued a requirement that the drones must stay within the operator’s line of sight at all times. The FAA has proven to be serious about its commitment to expediting the exemption process for commercial drone flight. It took the agency years to come up with its initial proposed rules for commercial drones. 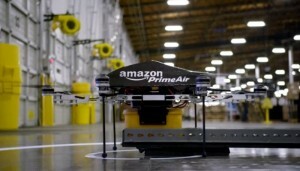 Last month, the FAA issued a similar approval for Amazon to begin its drone testing, according to Reuters. Unfortunately, the approval was for an old prototype that Amazon said was outdated by the time the approval was granted. The company’s VP of global public policy Paul Misener told a Senate committee that Amazon’s design had changed considerably since first submitting its application to test its drones in July 2014. Now, rather than analyzing each petition for exemption from scratch, the FAA has revised its rules to be able to issue an exemption “when it finds it has already granted a previous exemption similar to the new request.” according to its website. Under the revised rules, it took them only weeks to issue a new exemption to Amazon for its commercial drone flights. Letv Launches Internet Media Business in U.S.
AGCO Co. Shares Sold by Suntrust Banks Inc.
Two Sigma Securities LLC Purchases Shares of 22,551 Fred’s, Inc.